Journaling can be an effective tool for managing stress and anxiety, and a useful outlet through which to express your emotions.  Not only can it help you express yourself, it can improve your problem-solving skills, memory, and self-awareness. By providing a space in which to represent and organize your thoughts, journaling helps you to reflect upon and better manage your thinking, emotions, and behavior. 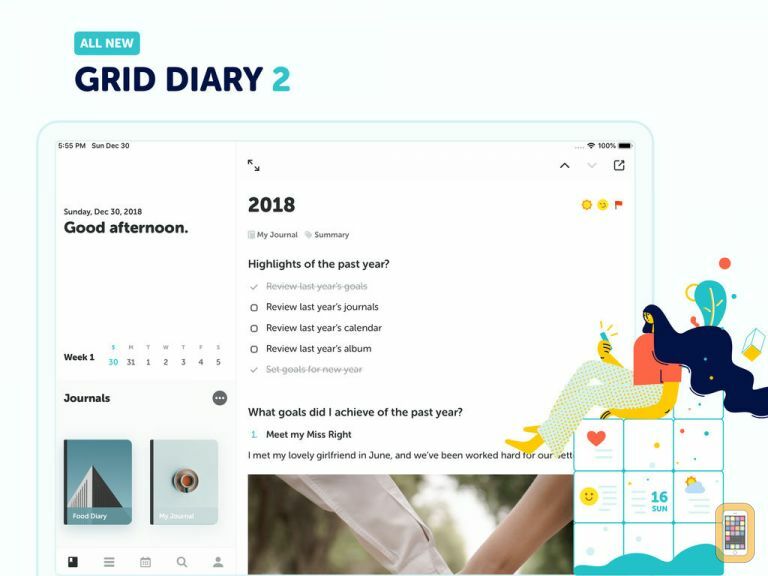 Grid Diary is a free journaling app which allows you to keep track of your feelings and reflect upon your day. 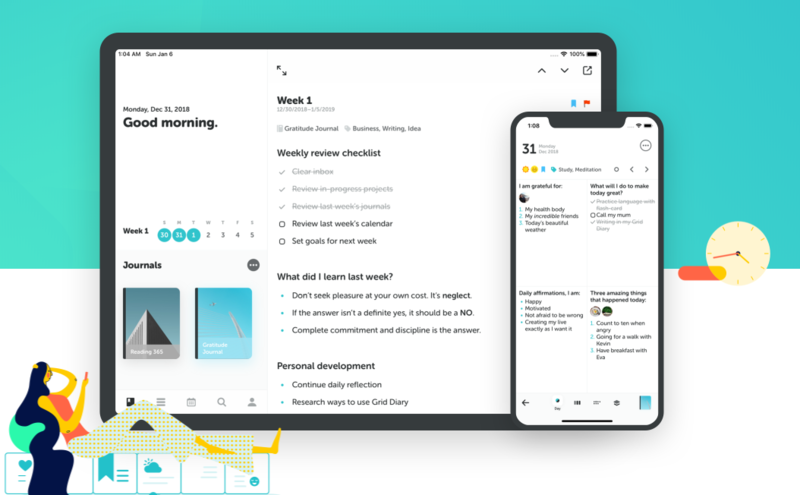 It combines diary and planner templates with prompts for guided writing to help you keep track of important aspects of your life, gain insight into your thoughts and feelings, and flourish in all aspects of your life. Below are a few of the many things that I enjoy about Grid Diary. The app allows you to keep a daily record of your mood, and to look back on the ups and downs you experience throughout the week. Keeping a daily mood diary allows you to become more mindful of your emotions, become more aware about the ways they affect your life, and develop tools to manage them in a positive way. 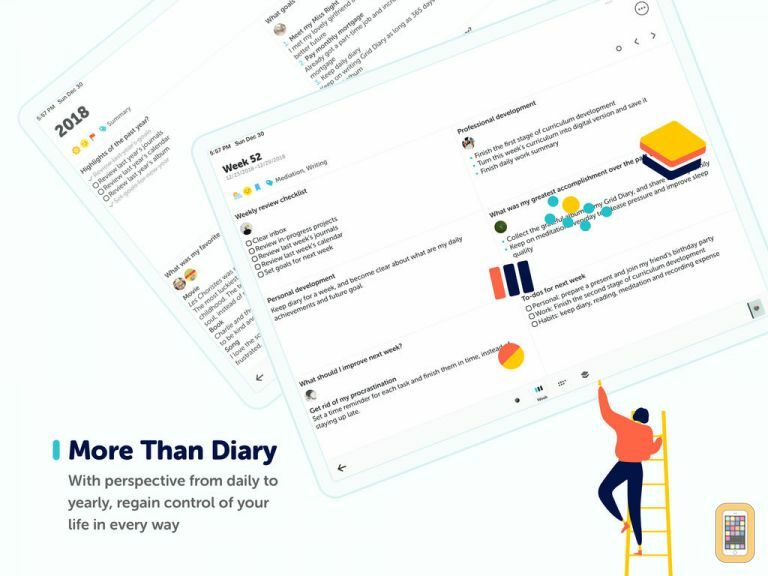 Grid Diary provides thoughtful prompts to help you start writing about your days. This means that even when you’re feeling uninspired, you can receive guidance to help you explore your emotions and get to know yourself better. Some of the prompts that I especially enjoy include “What have I done with my family today?”, “What progress have I made today?”, and “Please choose a suitable word to describe today”. 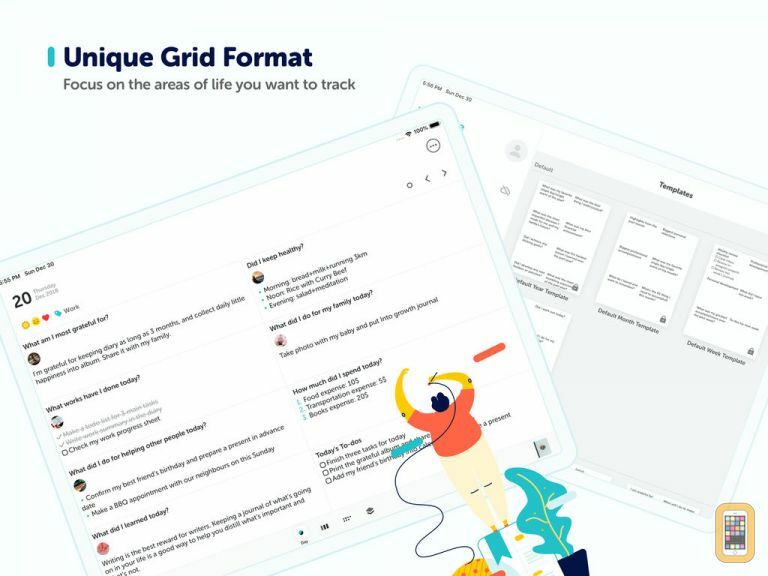 The app offers the opportunity to customize journal grids and prompts to suit your preferences. It includes easy-to-customize templates for creating different types of journals, including a gratitude journal, goal tracker, and weekly planner. It also provides the opportunity to create multiple journals dedicated to family, work, or travel, and to use these to clearly organize the different areas of your life. 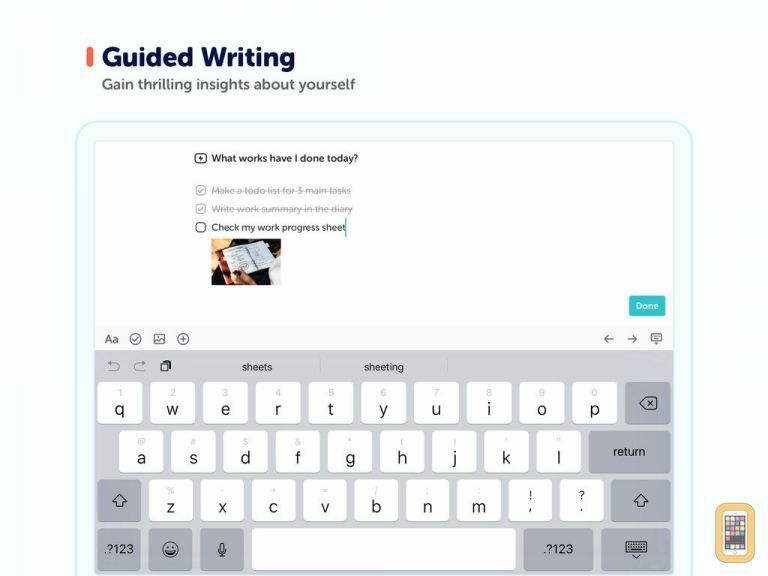 It further includes a library of engaging prompts, allowing you to choose which aspects of your life you want to work on and which style of prompt suits you best. This provides many different paths through which to dig deeper and explore your thoughts and feelings. A final feature that I particularly enjoy is that you can include both words and pictures. Grid Diary offers the opportunity to use stickers to express your mood, and to upload photographs or drawings to complement your journal entries. This allows you to use many formats and styles to express yourself and represent the richness of your daily experiences. Tingting provides art therapy and mental health counseling services. She is the only Mandarin-speaking US-registered art therapist practicing in mainland China. 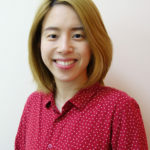 She has experience in the US and Hong Kong working with children, adolescents, and adults within a range of therapeutic areas, including art therapy, dialectical-behavioral therapy, cognitive-behavioral therapy, family therapy, and mindfulness. She helps address each individual’s needs through a range of services, including art therapy, family therapy, mindfulness, and treatments for depression and anxiety disorders. She provides interventions for autism and related disorders, depression, anxiety disorders, schizophrenia, trauma, and cross-cultural conflict. Her clinical experience working with culturally-diverse individuals and families has given her a deep understanding of emotional disorders, the impact of family relationships on children’s development, and individuals’ capacity for resilience during times of change.